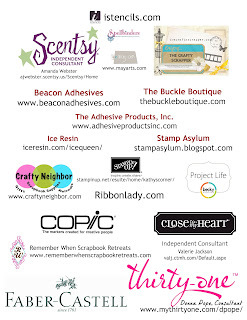 Dallas Crafters Marathon: Sponsor Sneak Peek! 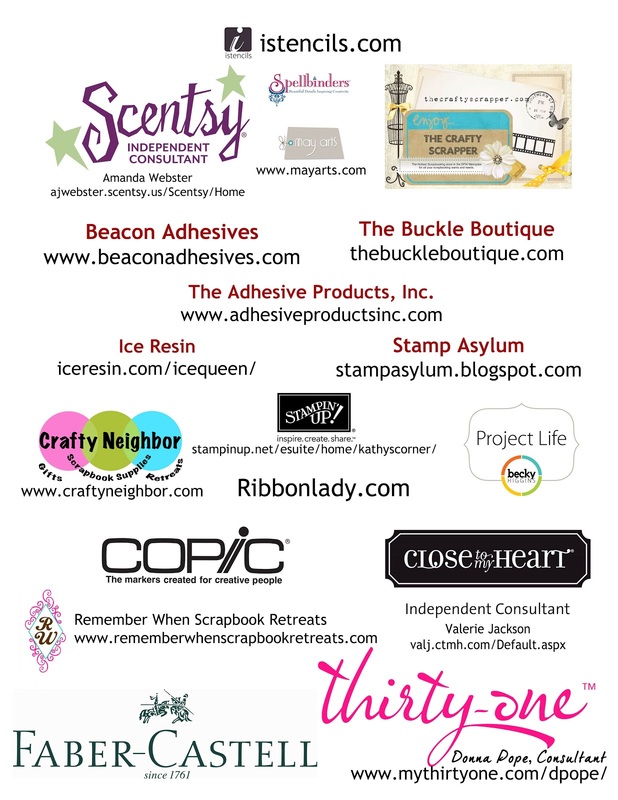 We wanted to give everyone a sneak peek of our gracious sponsors for our National Scrapbook Day, May the 4th be with You!! We will be having Jimmy Johns sandwiches with additional goodies for lunch around noon and dinner will be around 6pm. We are having mexican food catered by a local restaurant near the DCM facility. There are soda available for purchase and we will have water available to our May the 4th participants! We will have sponsor provided door prizes every hour starting at 11am on Saturday! We will have raffles tickets available for the Grand Prize drawings (there are several large prizes!)! You can purchase raffle tickets with paypal, check or cash. The raffle money will be used to buy supplies for our space for our members (curtains, etc). WiFi is available and you will be provided the network information when you arrive! You are going to LOVE your goodie bags, I'm envious!! Absolutely can not wait. I am so ready for this weekend of fun and visiting with old and new friends.